A mysterious rock thought to be 45 million years old has been fished from the harbour of a French fishing village. The rock which is almost a perfect sphere weights around 200 Kilograms. 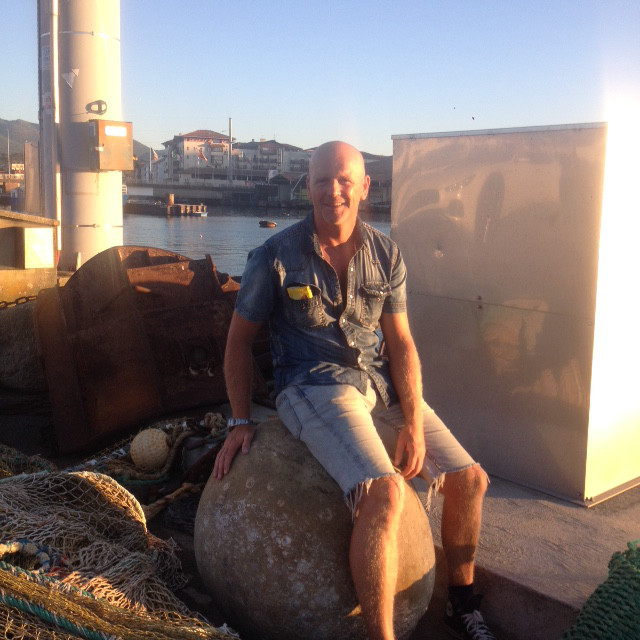 A recent chance encounter led me to the discovery of the rock, lying on the dock of the French fishing town of St Jean De Luz on the historic basque coast of Aquitaine. The rock is one of several similar objects to be discovered across Europe (see link) and I was keen to see it for myself! Little is known about the rock - which was only found this week, although I am told by local information that it has already been aged to approximately 45 million years old (though this I suspect relates to the rock itself and not its construction date!). I will document the discovery over the coming weeks and I have already sent out photos of the magnificent artefact to research contacts around the world seeking some clues as to its possible origin. Amazingly despite laying on the sea bed for possibly hundreds if not thousands of years the rock appears almost perfectly clean. I examined the rock and found it to be very hard yet with some pit marking. This makes me wonder why concretion has not formed around the object. St Jean De Luz and in fact the whole Basque region is rich in ancient mystery and archeology. I recently visited the famous Croix D'Hendaye in Hendaye which is rumoured to carved with coded messages and the source of some seriously deep prophetic meaning. After studies using quantum based big data analytics to decipher petroglyph in desert of California last year (see link here using quantum big data analytics for astro archeology ) , I hope maybe I can apply the same techniques to the stone of St Jean De Luz? I hope to get some more information on the stone soon and I will update the page as soon as I know more. If you are interested please, get in touch here or via Twitter @Softwareguru1 as usual.